Warm Mix Asphalt (WMA) is the greatest advance in asphalt technology since recycling and has revolutionary implications for the asphalt paving industry and environment. By lowering the temperatures at which asphalt mixes are produced and placed on the road by 50 to 100 degrees Fahrenheit, WMA benefits the producer by cutting fuel consumption and costs while decreasing the production of greenhouse gases. What makes WMA unique is what it isn’t! It is not a different or special type of asphalt concrete, it is a way to produce conventional asphalt mixes, ALL asphalt mixes, at lower temperatures. Much of the following information is courtesy of the Federal Highway Administration’s “Every Day Counts” website (a link is provided at the end of the page). What is Warm Mix Asphalt (WMA)? Hot Mix Asphalt (HMA) is the traditional process for constructing asphalt pavements. HMA is manufactured in a central mixing facility (typically called a hot mix plant) and consists of high quality aggregate and asphalt cement. The two are heated and mixed while hot to completely coat the aggregate with asphalt cement. The aggregates and asphalt cement are heated above 300°F during mixing and kept hot during transport by truck, placement (where it is spread on the roadway by an asphalt paving machine), and compaction (where it is compacted by a series of asphalt roller machines) of the asphalt mixture. The mixture cools after compaction to form the asphalt pavement. WMA production methods use temperatures 30 to 120 degrees Fahrenheit lower than traditional hot-mix asphalt (HMA). Because less energy is needed to heat the asphalt mix, less fuel is needed to produce WMA. Fuel consumption during WMA manufacturing is typically reduced by Twenty percent (20%). In paving projects, the greater the temperature difference between the asphalt mix and the outside temperature, the faster the mix cools. Since faster cooling effects durability, cold ambient temperatures adversely affect hot-mix asphalt. Relative to HMA, WMA cools more slowly allowing WMA to be successfully placed in lower temperatures. 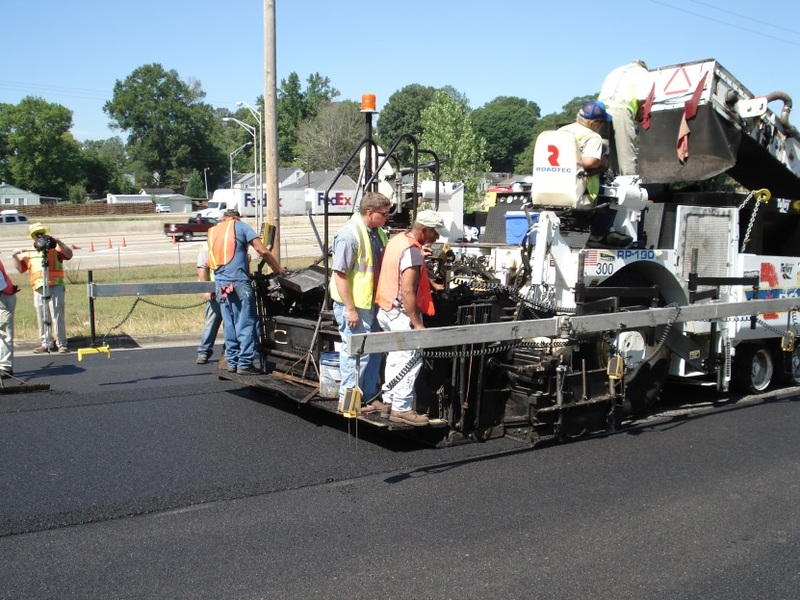 As a result, WMA extends the paving season. It also makes night paving more feasible. Additionally, WMA saves time in production as well as in surfacing roads. Because WMA makes compaction easier, cost savings are achieved by reducing time and labor spent compacting the mix. Lower temperatures also permit more asphalt mix to be hauled for longer distances, reducing transportation costs. There are many different technologies that have been developed to produce WMA, some of which are plant modifications and others are additives to the mix and/or asphalt binder. 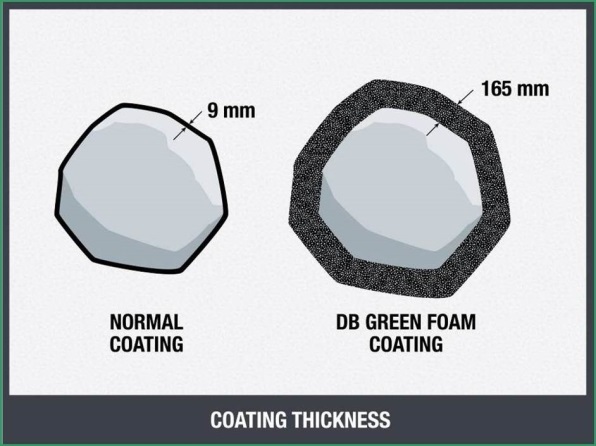 The “foaming process” is the most common type of WMA plant modification technology where a small, controlled amount of water is injected into the hot asphalt binder as it is mixed with the aggregate particles. The hot binder turns the water to steam which in turn causes the asphalt binder to expand rapidly into foam (much like pressing the button on a can of shaving cream). The 16 fold binder volume increase results in the appearance (and properties) of “over asphalting” the mix which facilitates placement and compaction. This binder volume increase remains until the temperature drops below the boiling point of water causing the steam bubbles to collapse and the mix to set. WMA can also be produced by the addition of specially developed additives many of which reduce the viscosity (the thickness) of the asphalt binder so that asphalt aggregates can be coated at lower temperatures. Others hold internal moisture and achieve the same type of foaming action as the plant modifications mentioned above. These additives can be introduced at the asphalt plant or purchased from the binder supplier already in the binder. The key is the addition of additives (water-based, organic, chemical, or hybrids) to the asphalt mix. The additives allow the asphalt binders and asphalt aggregates to be mixed at the lower temperatures. Reducing the viscosity also makes the mixture easier to manipulate and compact at the lower temperature. It is also possible to combine different WMA technologies for enhanced performance. 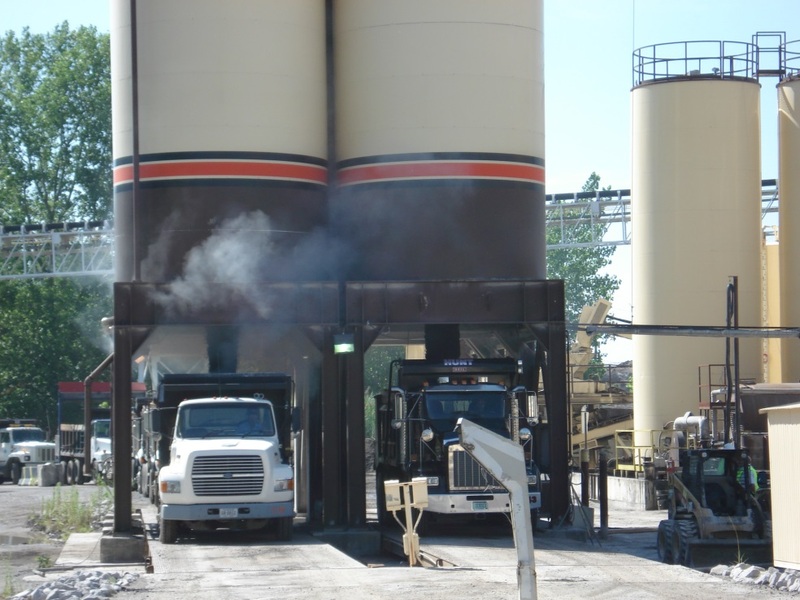 For example, many asphalt plants equipped with foam systems also use chemical WMA additives for even greater temperature reductions, compaction aid, and anti-strip treatment. Proper compaction is critical to well-performing pavements. One indication of proper compaction is density. Achieving proper density is important because most asphalt paved Federally-funded highways are accepted based on their density. WMA is a compaction tool that can help achieve proper density and improve pavement performance goals. WMA is also versatile. It has been used successfully in a range of pavement thicknesses. It is durable enough to withstand high traffic demands. WMA has been used in all types of asphalt concrete: dense-graded, stone matrix, porous, and mastic asphalt. Multiple WMA technologies are available, so the choice can be adapted to the temperatures and materials required. Warm-mix asphalt has been used successfully in Europe for more than 10 years. In the United States, WMA projects are now in more than 40 States. Working conditions are much healthier with WMA. Both at the production plant and on the construction site, workers inhale far less smoke and dust. This reduction is particularly important in tunnels, where ventilation is reduced. WMA is clearly an important technology for the 21st century. 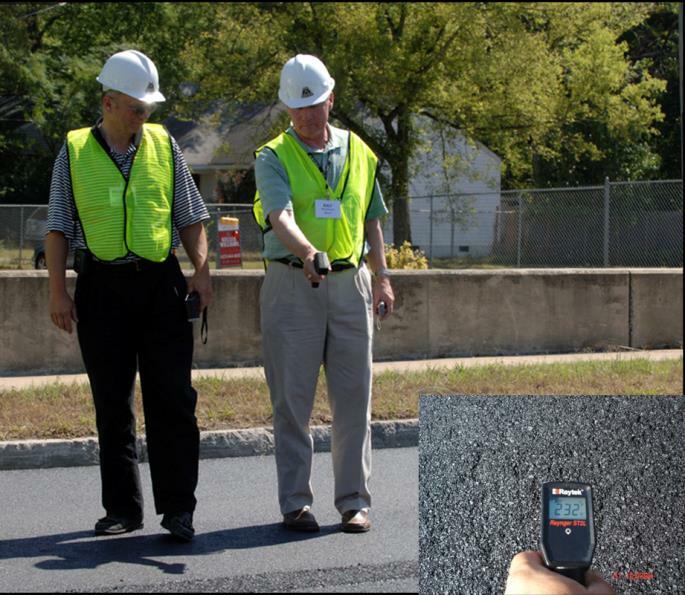 The World of Asphalt’s “People, Plants, and Paving Training Program” focused attention on WMA, with multiple sessions at its 2010 conference. At least 14 State Highway Agencies have adopted specifications to accommodate WMA, and more than 40 States have roads paved with WMA. 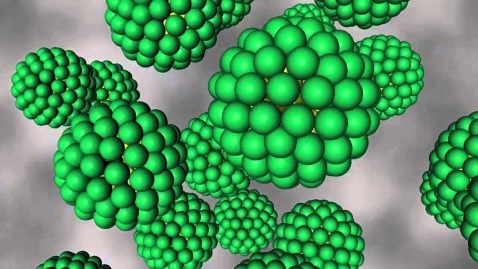 This green technology is increasing the quality of our roads and our environment. The Virginia Department Of Transportation has been a leader in the acceptance and use of WMA technology, implementing a permissive strategy for all VDOT asphalt mixes over five years ago. Performance has been excellent and there are no know issues with its use in the Commonwealth. Today, most Virginia asphalt producers use one or more WMA technologies to produce almost all of their VDOT asphalt mixes.